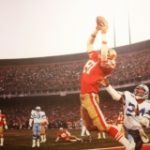 Americans enjoy a unique privilege not shared by a majority of the world—the ability to publicly criticize the government without fear of retaliation. In the wake of the recent election, anti-Trump protesters have gathered across America to exercise this right by publicly protesting the newly elected Commander in Chief and the entire electoral process. Unfortunately, many of these protests have turned violent, turning legitimate activity into nothing more than anarchy. After one anti-Trump protest erupted in Portland, a group of protesters vandalized a city district causing an estimated $1 million in damage. This senseless destruction has done nothing to advance positive political discourse, but has served as another reminder of the current political divide in the Country. What is more astonishing, though, is that celebrities may be responsible for fueling the fires of violence now erupting across the country. It’s was no secret going into election night that celebrities were overwhelmingly in favor of Hillary Clinton. After her defeat, various celebrities took to social media to voice their reaction, some accepting the results of the election while others claiming that Trump would never be their president. Katy Perry warned her 94 million fans via Twitter that “the revolution is coming” and encouraged them to “rise up.” Mark Ruffalo, who turned green after seeing the election results, encouraged his Twitter followers to “fight back.” Sarah Silverman went as far as to use her Twitter account to encourage a military coup. These controversial messages were met with criticism by some who questioned whether this type of speech—which some construed as a call for violence—should be acceptable or even legal. So, this begs the question: Are these social media messages protected advocacy, or are they inherently dangerous and outside the protection of the First Amendment? Courts have already established that freedom of speech is not absolute, placing some categories of speech wholly outside constitutional protection. In Brandenburg v. Ohio, the Supreme Court made clear that the First Amendment does not protect speech that “is directed to inciting or producing imminent lawless action and is likely to incite or produce such action.” However, the Court simultaneously prohibited the censorship of the “mere advocacy” of violence, reasoning that such censorship “impermissibly intrudes upon the freedoms guaranteed by the First Amendment.”Determining whether certain social media messages constitute advocacy or words of incitement is no easy task. To date, no court has squarely addressed the incitement standard as applied to social media. In fact, the current Brandenburg standard might well be incapable of providing adequate guidance. 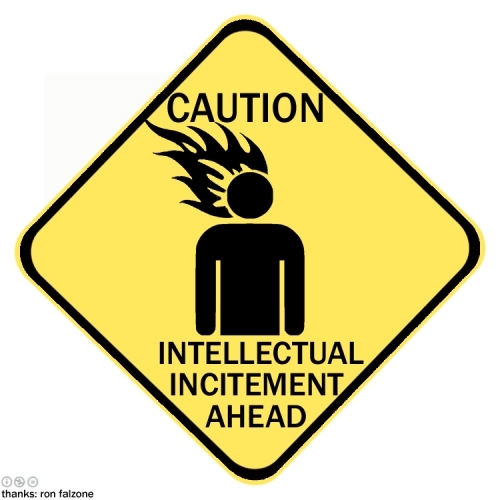 All of the early cases involving incitement, including Brandenburg, dealt with individuals who were physically present at demonstrations and rallies, and who had direct contact with an identifiable group of people. By contrast, social media users do not have an immediately identifiable audience. This makes it almost impossible to contribute the actions of a certain group to the words of one speaker. Another problem with applying the Brandenburg standard to social media, is gauging the immediate effects of the speaker’s words. Cases decided after Brandenburg have held that advocating “illegal action at some definite or future time” does not qualify as incitement. When someone is physically present at a protest, their words are immediately heard and may be quickly acted upon. With social media, the audience may be in places where it’s impossible to take any immediate action. This in and of itself might disqualify social media messages under the current incitement standard. Even though social media does not seem to fit neatly within the current Brandenburg doctrine, the courts may well be faced with a need to develop a workable model. Modern advocacy doesn’t always take place in the streets or in a physical space; rather it occurs largely through social media. Celebrities’ influences are spreading in ways that were unimaginable only ten or fifteen years ago. While we certainly don’t want to chill political speech or the free flow of ideas, which are both crucial aspects of democracy, we cannot stand by while influential people advocate violence. Some have argued that as a society we should simply take away the influential power of celebrities by boycotting their brand and products. However, without the force of law, this seems like a short-term solution. Whether this issue ever presents itself to the courts remains to be seen, but one thing is for sure…celebrities, be careful what you Tweet. Tony Hernandez, Portland Wakes Up to Damage from Anti-Trump Riot, The Oregonian (Nov. 11, 2016, 11:15 AM), http://www.oregonlive.com/portland/index.ssf/2016/11/pearl_district_ne_portland_wak.html. Douglas Ernst, Katy Perry Raises Specter of Violence After Clinton Loss: ‘THE REVOLUTION IS COMING’, Washington Times (Nov. 9, 2016), http://www.washingtontimes.com/news/2016/nov/9/katy-perry-raises-specter-of-violence-after-hillar/. 27 Celebrity Reactions to Trump Winning the Presidential Election, Elle, http://www.elle.com/culture/career-politics/news/a40650/celebrity-reactions-to-trump-winning-the-presidential-election/. (last visited Feb. 3, 2017). Ron Dicker, Sarah Silverman Walks Back Tweet Urging Military Coup Against Trump, Huffington Post (Feb. 3, 2017), https://www.msn.com/en-us/tv/celebrity/sarah-silverman-walks-back-tweet-urging-military-coup-against-trump/ar-AAmA9Se. Alan Stephens, First Amendment Guaranty of Freedom of Speech or Press as Defense to Liability Stemming from Speech Allegedly Causing Bodily Injury, 94 A.L.R. Fed. 26 (1989). Brandenburg v. Ohio, 395 U.S. 444, 447 (1969). Hess v. Indiana, 414 U.S. 105, 106-07 (1973); NAACP v. Claiborne Hardware Co., 458 U.S. 886, 900-06 (1982); Brandeburg, 395 U.S. at 445-47. John P. Cronan, The Next Challenge for the First Amendment: The Framework for an Internet Incitement Standard, 51 Cath. U. L. Rev. 425, 450-51 (2002). Kovie Biakolo, Do Celebrities Have a Public Responsibility? Thought Catalog (Aug. 29, 2013), http://thoughtcatalog.com/kovie-biakolo/2013/08/do-celebrities-have-a-public-responsibility/. 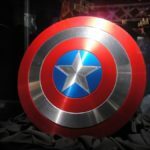 « Captain America’s Shield and Trade Secrets?